This is a "must have" for the traveling wet shaver. 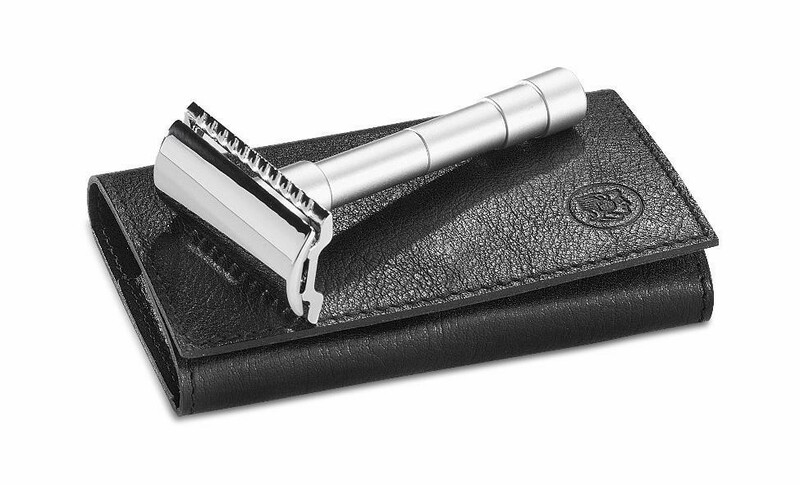 This Merkur travel safety razor breaks down into 3 pieces and fits into it's custom fitted compact black leather case. The case snaps securely closed and also holds a pack of blades(included). The safety bar keeps the blade away from your skin, yet close enough to get a smooth, close, comfortable shave. The matt chrome finish handle is light weight yet has a sturdy feel. Leather case size: 4 1/8" x 2 1/2"